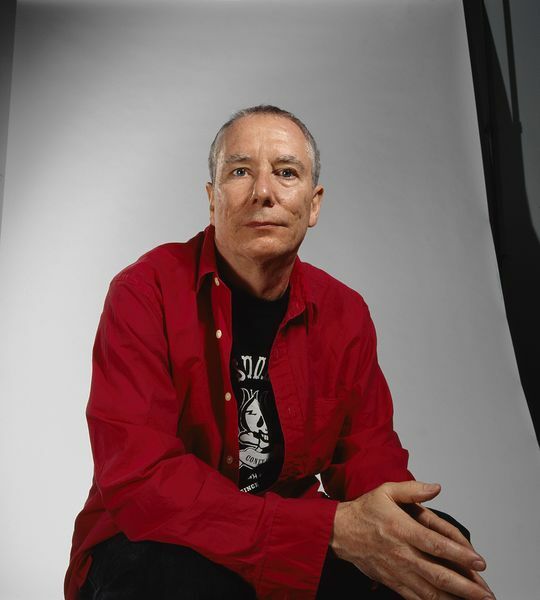 Mike Kelley is widely considered one of the most influential artists of our time. 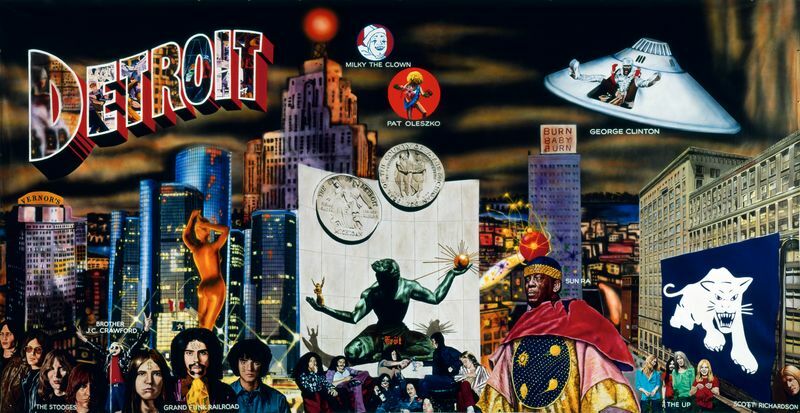 Originally from a suburb outside of Detroit, Kelley attended the University of Michigan, Ann Arbor, before moving to Southern California in 1976 to study at California Institute of the Arts from which he received an MFA in 1978. The city of Los Angeles became his adopted home and the site of his prolific art practice. In much of his work, Kelley drew from a wide spectrum of high and low culture, and was known to scour flea markets for America’s cast-offs and leftovers. Mining the banal objects of everyday life, Kelley elevated these materials to question and dismantle Western conceptions of contemporary art and culture. Starting out in the late 1970s, Kelley became known for performance and installation based works; he came to prominence in the 1980s with a series of sculptures composed of common craft materials and stuffed animals. His work later widened in scope and physical scale, exemplified by ‘Educational Complex’ (1995), the ‘Kandors’ series (1999 – 2011), ‘Extracurricular Activity Projective Reconstruction’ series (2000 – 2011), and the posthumously completed public work ‘Mobile Homestead’ (2006 – 2013). These projects invoked a vast range of media and forms, illustrating the artist’s versatility and underscored a number of Kelley’s recurrent themes, such as repressed memory, sexuality, adolescence, class, and Americana, which were central to his artistic praxis. Throughout his career, Kelley also worked on curatorial projects, collaborated with many artists and musicians, and produced a formidable body of critical and creative writing. Österreichische Galerie Belvedere, ‘There is Something You Should Know: Die EVN Sammlung im Belvedere’, Vienna, Austria. David Adamson Gallery, ‘A.R.T. Press Portfolio’, Washington D.C.
Athens School of Fine Arts, ‘Everything that's interesting is new: The Dakis Joannou Collection’, Athens, Greece. Hirshhorn Museum and Sculpture Garden, ‘DISTEMPER: Dissonant Themes in the Art of the 1990s’, Washington, D.C.
Neue Geselleschaft für Bildende Kunst, ‘Shift’, Berlin, Germany. 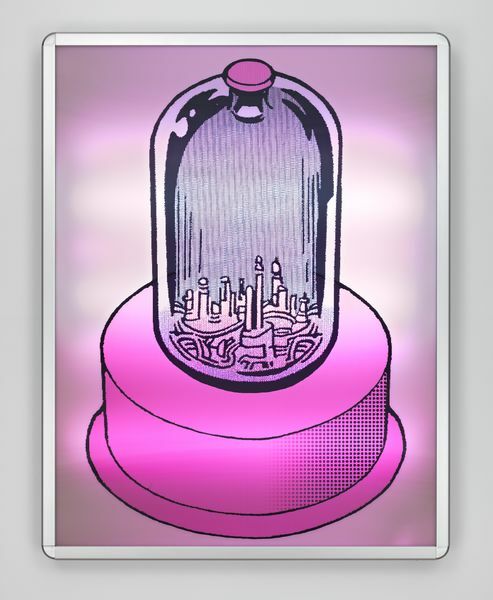 Mason, Isabella, ‘Mike Kelley’s “Kandors” at Venus over Manhattan, New York’, on www.blouinartinfo.com, 22 November 2016. 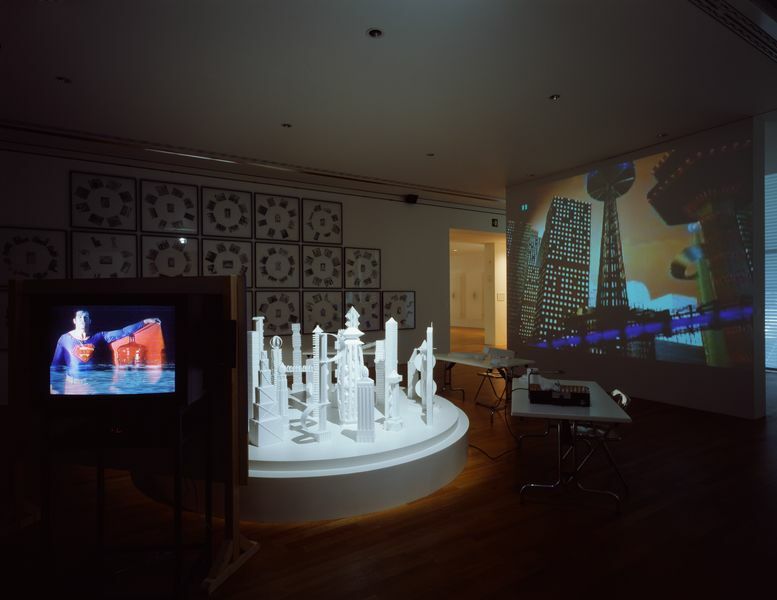 Lempesis, Dimitris, ‘Art Cities: N. York – Mike Kelley’, on www.dreamideamachine.com, 03 November 2016. Finkel, Jori, ‘Charity begins at home for the Mike Kelley Foundation’, in: The Art Newspaper (Number 284), London/UK, November 2016, pg 10. Cox, Will, ‘Flying the Adolescent Flag’, on: www.broadsheet.com, Melbourne, October 28, 2016. ___, ‘Anatomy of an artwork: Mike Kelley’s Framed, 1999’, in: The Guardian Guide, London/UK, 15 October 2016. Gat, Orit, ‘Critic’s Guide: London’, on: www.frieze.com, London, 03 October 2016. 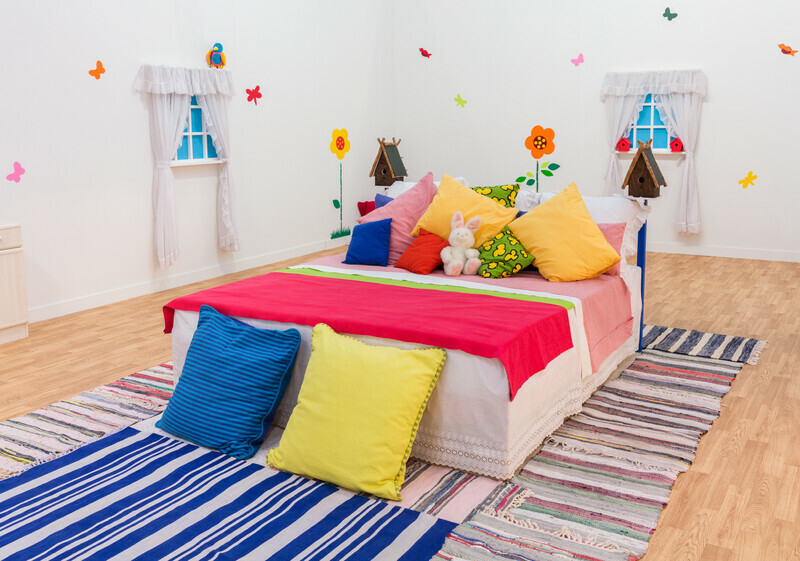 ___, ‘Framed and Frame, Mike Kelley at Hauser & Wirth London’, on: www.sfaq.com, September 24, 2016. Larouci, Samira, ‘Mike Kelley’s Chinatown Grotto Comes to London’, on: www.amuse-o-d.vice.com, London, 23 September 2016. ___, ‘Five of the best… art exhibitions’, on: www.theguardian.com, 16 September 2016. ___, 'Mike Kelley Foundation for the Arts Announces Recipients of Inaugural Grants', on: www.artforum.com, New York, 6 April 2016, ill.
Vankin, Deborah, 'Mini gold in downtown L.A.? 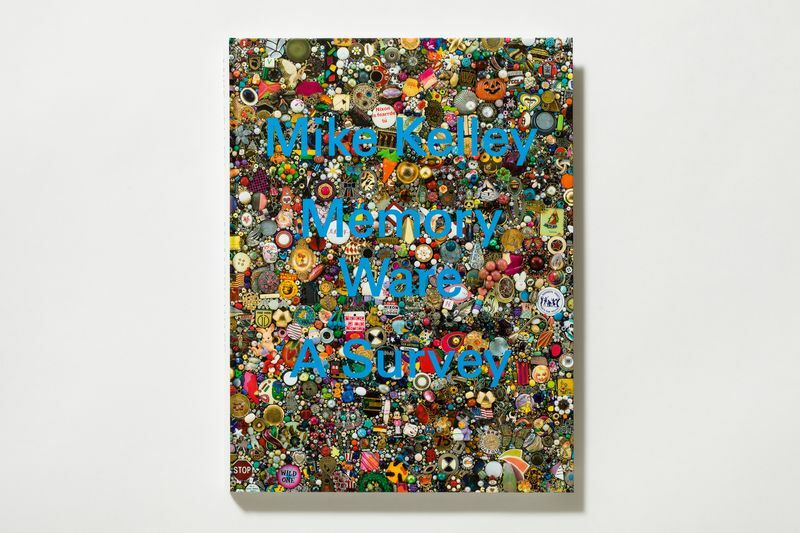 That and other arts projects win grants from Mike Kelley Foundation', in: Los Angeles Times, Los Angeles, 5 March 2016, ill.
___, 'Mike Kelley' [review], in: Artworld Magazine, Shanghai, November 2015, pp. 98 – 101, ill.
Lyon, Christine, 'My House explores a raw, manic ethos', on: www.nsnews.com, North Vancouver, 8 January 2016, ill.
Monopol, Berlin, November 2015, ill.
New York, 30 October 2015, ill.
___,'New York', in: Elite Traveler, New York, September/October 2015, p. 64, ill.
Marshall, Piper, 'Mike Kelley', on: www.artforum.com, New York, 28 September 2015, ill.
Thibaut, Wychowanok, 'The city of Superman view by artist Mike Kelley', on: www.numero.com, Paris, 23 September 2015, ill.
___, 'Mike Kelley, Hauser & Wirth, New York', on: www.aestheticamagazine.com, London, 19 September 2015, ill.
Steinhauer, Jilllian, 'Mike Kelley's Superman Complex', on: www.hyperallergic.com, New York, 14 September 2015, ill.
in: W Magazine, New York, 13 September 2015, ill.
___, 'Leonardo DiCaprio Cuts the Line at Mobbed Mike Kelley Show', on: www.artnet.com, Berlin, 11 September 2015, ill.
Corona, Sarah, 'Tra la Cosmic Cavern e Plato's Cave, Mike Kelley da il suo imprinting all'autunno newyorkese. 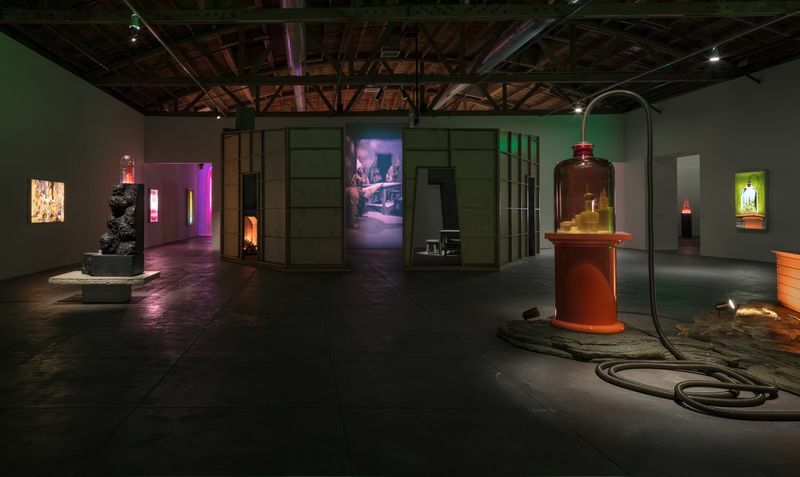 Grande mostra da Hauser & Wirth', on: www.arttribune.com, Rome, 11 September 2015, ill.
Lehrer, Adam, 'In the Hauser & Wirth exhibit "Mike Kelley", the late artist explores superman's home city Kandor', on: www.forbes.com, New York, 11 September 2015, ill.
Miller, Michael, 'Whatever happened to the man of tomorrow? 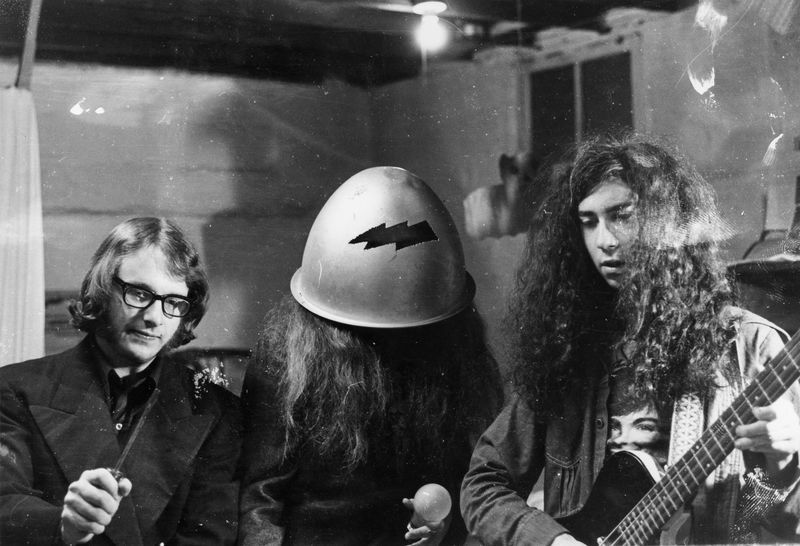 Mike Kelley's final superman-inspired works land in Chelsea', on: www.artnews.com, New York, 11 September 2015, ill.
Johnson, Ken, 'Review: Mike Kelley Uncorks Superman's Kandor City in a Bottle', on: www.nytimes.com, 10 September 2015, ill.
Ohly Evans, Christina, 'Mike Kelley at Hauser & Wirth', New York, on: www.howtospendit.com, London, 2 September 2015, ill.
Burns, Charlotte, 'Mike Kelley's Superman-inspired sculptures coming to New York', on: www.theartnewspaper.com, London, 28 August 2015, ill.